The completion of the Kifissos River estuary at Faliron Bay required the construction of a 500m trunk, a 108m crucible infill and a 100m basin. 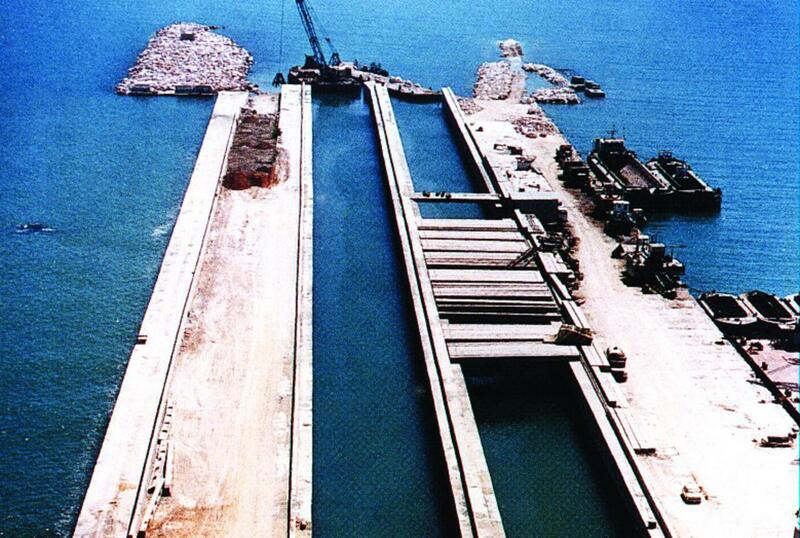 The superstructure is made of cast concrete, while prefabricated blocks of up to 55m2 were laid on 20m deep sand and rock-fill layers for the underwater structures. A total of 90,000m3 of concrete and 700,000m3 of rock-fill were required.